There’s something so inspiring about listening to a worship album where every song is a reflection of the writer’s heart. Such is the case for Rita Springer’s Integrity Records debut The Playlist. You might be surprised to find out that many of today’s most often sung psalms are actually written by this previously independent artist, with her most popular song being “Make Us A Prayer,” first published on Vineyard Music’s Touching the Father’s Heart album. Her eleven-track The Playlist album is so heart-felt, and will no doubt become the cry of the listener’s heart as well. If you can imagine one of Jesus Culture’s powerful slower songs, you can imagine the opening track of The Playlist, titled “Come In.” In fact, Rita’s vocals sound remarkably similar to Kim Walker-Smith’s in a few places. But most importantly, conviction rings out, as Rita’s resounding vocals are a heart-felt prayer asking Jesus to come in and take anything that’s not of Him. The desire for Jesus to be reflected in everything we do is most certainly a standout of this album. “In This Forever” equally as worshipful, and still on the slower spectacle, speaks of staying in the presence of God forever and never leaving. “Make Me Happy,” with its catchy backing vocals, rejoices over all that Jesus has done for us, while “I Call You” paints a beautiful picture of creation, and gives Him praise for being everything we need. “Over I Go” is easily the best track of The Playlist, first beginning with harmonies making a nice tempo, and building greatly with strings and adrenaline. This full track speaks of diving into what it is God has called us to. Honestly, there are too many excellent aspects of this track to pick a favorite! With saxophones and electric guitars, the Gospel track “Made For This,” speaks of how we are made for worship, while “The One” magnifies Jesus and speaks of all His wonderful works. The very serene “You Are My Hallelujah” is phenomenal, speaking of praising Jesus with a hallelujah in good or in bad times, but especially learning to praise Him during the trials in our life. “Falling” speaks of being at an all-time high with Jesus and experiencing His presence, while “The Whisper” speaks of finding Him in everything that happens in our lives. And finally, The Playlist ends with “The Blood,” a song of praise for the power of the blood of Jesus. Added in this track is a rendition of “Nothing But the Blood of Jesus,” very perfect for this closing gospel track. 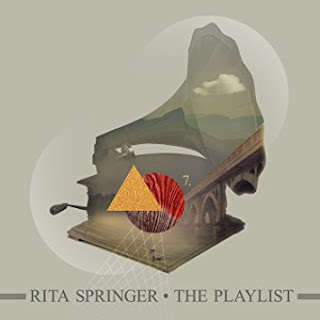 Rita Springer’s The Playlist album is most certainly a good one! It’s definitely refreshing to hear people sing their hearts out to God in worship, especially when those songs are relevant to the listener in their own walk with the Lord. Rita’s album has songs of worship for the good and the bad times, recognizing that the Lord is with us always. I can easily give this project a high recommendation to fans of Jesus Culture.